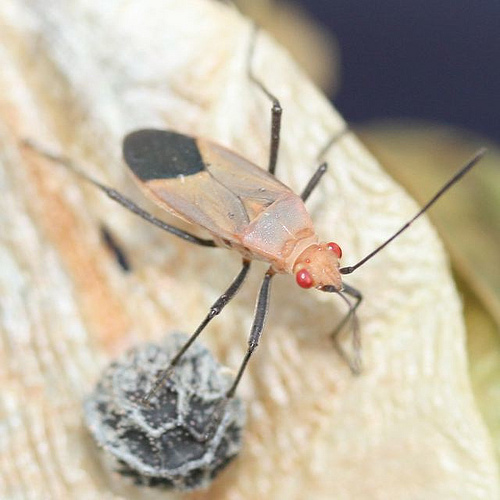 Introducing a new species of soapberry bug! Meet Leptocoris ursulae, a new species of soapberry bug we have just described from the Mountains of the Moon in western Uganda, on balloon vine! We have named it for Ursula Göllner-Scheiding, who has done the great majority of modern taxonomic work on soapberry bugs, on the occasion of her 90th birthday. She was just back from fieldwork in Namibia when we met her last September at the Berlin Museum of Natural History, while gathering images for soapberrybug.org. The formal description of L. ursulae will be published in Entomologische Zeitschrift later this month. Stay tuned for a link to the PDF!